Are You Now Struggling With What To Email To Keep Them Interested And Engaged? There Has To Be A Simpler Way To Build A Highly Responsive Community Through Email…There Is – And I Can Teach It To You! 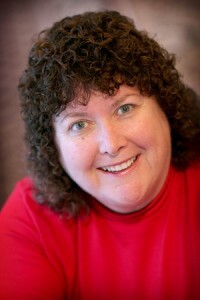 I’m Connie Ragen Green and I have been working exclusively online for almost eleven years now. When I first encountered the world of online marketing back in the spring of 2005, I was enthralled with the idea of “making money while I slept”. I soon discovered that this was hard work and set about to learn as much as I could during my every waking hour. And one part of being an online entrepreneur was glaringly obvious to me immediately…I was going to have to learn how to quickly and easily how to build a list and keep those people interested, engaged, and responsive to what I was emailing them. Back then I learned by trial and error, but what I finally created turned into pure gold. That’s what I will be teaching you during this Really Simple Email Marketing training course. Now I am able to earn income not only while I sleep, but also while I travel, play, spend time with family and friends, and more. A few years ago I even earned online income while I was knocked out under a general anesthesia during a minor surgical procedure! This is all thanks to the email marketing strategies I have learned, implemented, and perfected over this past decade as an online entrepreneur. In fact, those who know of me on the internet have referred to me as the “Marketing Madwoman” and I take that as a compliment. How To Know Exactly What To Write In Your Email Messages – Both Broadcasts And Autoresponders – To Keep Your Audience Engaged With You And Connected To Your Topic As You Build Your Business as an Online Entrepreneur! In fact, email marketing takes some time, effort, and practice to get you to the point where your email messages are truly effective. That’s why most people give up and believe this model is not a good one. But you have the advantage of having me as your guide and trainer for this and I never, ever give up when I know something is a worthwhile money maker. If someone tells you that you will start making money immediately by sending out emails, don’t believe them! You know the people I’m referring to here. They promise that you can simply push a few buttons and start making big money on the Internet with email marketing as your model. I’m here to tell you that this just is not true. You need to know what to write, when to send, when NOT to send, and how to have a good mix of relevant content, free resources, affiliate products, and your own offers. Email marketing is a business, and just like any other business it takes some work to get started. If it were as easy as those people would like for us to believe, would they be sharing their secrets with the world? Of course not. What you need is the whole story from someone who’s been there. That person is me. I went from earning no money at all online in 2006 to now earning a very handsome income – all from sending emails to my list to share relevant content, resources, and my own and affiliate products in a way that makes sense. If you already know me, then you know that I email my list ten times each week and have done so for more than ten years. You also know that the people on my list are highly responsive to what I share with them regularly. In fact, when people opt out of my list they typically take the time to let me know why and what they are doing. That’s rare! This isn’t a course on the theory of email marketing. Theory has its place, but this course – the Really Simple Email Marketing Workshop – is about the practical side of planning, creating, and the marketing of products, courses, and services, from wherever you happen to be in the world with an internet connection. Over the past ten years my business has carried on profitably from the beaches of southern California, internet cafes across Europe, remote areas of Asia, as well as from my home offices in both Santa Barbara and Santa Clarita, California. This is all thanks to the products and services I recommend on a daily basis, using the exact methods and strategies I have time tested since 2006. I’ll teach you exactly how to do the same thing, in a way that suits your lifestyle and goals. Have you ever received an email from me or someone else and assumed it was written directly and only to you? I can teach you how to do this so that you’ll connect on a deeper level with everyone on your list! I have more years of formal education than I care to admit. In fact, I was something of a professional student well into my forties. Looking back I now understand that much of what I learned was theory, when what I truly needed was information on what was working at that time. Whether I was in graduate school working on an MBA, a law degree, or a Master’s in Technology and Instructional Design, the professors dwelled on what “could” be effective more than on what was proven to work well in practice. My promise to you is that I will only cover and teach you what is still working effectively in 2018 and into 2019. Just as I do with my Online Marketing Incubator and Platinum Mastermind clients, my goal with this live workshop training is to keep it all simple. By this I mean that you will only be exposed to what you need and what is working for me and for other successful online marketers in the area of email marketing. My promise to you is to not waste any of your valuable and precious time with training that is not absolutely crucial to your success. Instead of teaching you WHAT to do to grow your online business with email marketing, I’ll be teaching you HOW to do it with the exact, step-by-step techniques and strategies that will have you up and running in your chosen niche faster than the speed of light and sound! When I earned my first $21.60 in the spring of 2006 you would have thought I had just hit the lottery. I jumped up and down and called my friends to share the news. They thought I was a little bit crazy for being so excited about making such a small amount of money, but I saw the bigger picture. I knew that if I could make one sale of an affiliate product to someone on my list who barely knew me, there were lots more sales to be made in the future. Email marketing was my connection to the outside world, and continues to be to this day. Online entrepreneurship is a worthy goal, and one that can only be accomplished by doing it, not by continuing to learn more and more and not applying anything directly to what you are working to achieve. At the end of each of the Four Modules of the Really Simple Email Marketing Workshop you will have a Plan of Action to get your recommendations created and out to the world. No more hesitation, procrastination, or concern over how and what to do each day you are in front of your computer. And by applying what you learn you will then have different questions. This training builds upon what you already know, what I will be teaching and sharing with you, and what you find out for yourself as you take directed action each week. Because I’ve been doing this full time for eleven years now, I feel uniquely qualified to help you move forward in the right way. And your success as an online entrepreneur is my greatest reward! Build and Grow Your Email Marketing Business NOW! This will be a hands-on workshop, and whether you are with us for the live sessions or watching the webinar replay at a later time you will actually start creating and marketing your content throughout each session. The Reality…Connecting on a Deep and Personal Level With Your Prospects and Clients As An Email Marketer Will Grow Your Business Quickly. The Problem…You believe that email marketing doesn’t truly work, requires years of set up, and is only lucrative in the “Internet Marketing” or “Make Money Online” niches. You feel like this could just be a big waste of your time, energy, and money with little or no payoff to show for it. The Solution…My Really Simple Email Marketing Workshop will turn you into an effective and unstoppable Email Marketing Entrepreneurial Machine. I’ll teach you how to set up, grow, and build a profitable business in about five hours per week. Hard work and dedication will turn your dreams and goals into your reality. This is how online marketing works as well. When you learn the basics and put about a third of what you know into place, the rest of your business will come together with a few clicks of your mouse. I may be slightly oversimplifying here, but my motto to “Keep It Simple” truly is the path to great success for you as an online entrepreneur. And failing forward more than half of the time is okay. I’m living proof that you can regularly fail more than half of the time and still earn seven figures as an entrepreneur. You need a way to have total control over how much money you earn, and how much time it takes you to do that. I have continued to increase my income each month since coming online in 2006, and you can do the same exact thing, once you learn which steps to take right away. Imagine having the time and financial freedom to live the life you choose. Affiliate marketing is the best way to get started with this lifestyle, and you never know where it might lead you in the future. Helping others is rewarding and satisfying, and I want you to have this experience as you build your business over the next thirty days. Imagine the feeling of being able to help people around the world with your information, guidance, and recommendations. They will be forever grateful to you as their trusted advisor. By making a name for yourself, becoming a trusted advisor in your niche (I’ll even help you to choose the perfect niche to get started with), recommending affiliate products and courses and then creating your own information products and courses through email marketing you will change the direction of your life and financial future forever. I worked as a classroom teacher for twenty years, and during that time I had absolutely no control over my income. One year the union had us go on strike for two weeks, and I had zero income during that time. If I hadn’t been working part-time in real estate on the side, my house payment and other bills would have been late or not paid at all. Having your own online business is the best hedge against inflation and a weak economy. Not everything being taught online today will work for you, just as much of it didn’t work for me back in the early years when I was getting started. I’ll help you to sort out what makes sense so that you can move forward confidently. This is the “each one, teach one” philosophy that I love about the online marketing world. I’ve been online thirteen full years now, since the fall of 2005, so it just makes sense that I’ve had more opportunities based on this longevity. I became a “super affiliate” with just a few hundred names on my list, count most other successful online marketers as friends and have them on speed dial, and have access to some of the most brilliant minds now working online. If you’re just getting started, have no list or a list of fewer than a hundred names, it makes sense that you will need different tactics and strategies to rise to the level you want and need as an entrepreneur. And that is exactly why I feel uniquely qualified to take you by the hand and move you closer to where you want to be within the next month. Where the Goal Will Be for You to Set Up and Create An Affiliate Marketing Business That Makes Sense for You. You’ll Experience Immediate Gratification During This Process. Sessions One, Two, Three, and Four are Already in Your Member’s Area! What is email marketing and how may I prosper with this model? Why is it so to craft just the right emails for my niche? What if I get started with email marketing right away? Why is Storytelling such an integral part of this process? How do I set the wheels in motion? What’s the difference between autoresponders and broadcasts? How can I become “single-focused” on email marketing? How and what to write in your first ten day autoresponder sequence! The power of the P.S. I Have Just Opened This Exclusive Online Workshop as a Home Study Training Program. Please Join Now And Start Building Your Online Business With Email Marketing! Now is the time for you to learn the skills that will bring email marketing income your way. If you’ve been thinking about building a profitable online business, no matter what your niche, this is the way to get started quickly. You’ll have what you need all set up and ready to go within just a few days of starting your training. Then I will go deep into how to do the marketing to launch your business in the fastest possible time. They don’t call me the ‘Marketing Madwoman’ for nothing! P.S. This is the first time I am offering this Really Simple Email Marketing Workshop. When I teach it again the investment will be significantly higher. Please join now and be included in all future sessions over the next two years at no additional cost.